Did you know that almost 25% of adults in the UK gamble online? A recent survey found that 23% of British adults gamble online. The breakdown had it at 28% of men and 18% of women. The most popular form of gambling in the UK is the National Lottery. That is followed by bingo, horse racing and sports betting. It is also worth noting that more and more of the bettors in the UK are choosing to wager using their mobile device. Whether it is an iPhone, iPad, Android or some other mobile device, people are wagering on the go. It has been about six months now since New Jersey started online gambling and the overall numbers have been disappointing. New Jersey Governor Chris Christie estimated that the state would bring in about $180 million dollars this fiscal year from taxes from online gambling. Those numbers were extremely optimistic and not realistic. The current projections have the state bringing in about $12 million dollars. Have you ever wondered why you get on a big winning streak or a big losing streak when playing games at the online casino? The answer is variance. You just never know what is going to happen. You might win five straight hands in blackjack and then lose the next four. How do you handle online casino variance? Walmart has decided to take a big step into the wire transfer business. They already have an agreement with MoneyGram but now they will be unveiling their own service. It will be called "Walmart-2-Walmart." It is going to be marketed to those who want to send wires that are $900 or less. The battle to make online gambling legal in the United States continues to hit speed bumps. The latest is a move by some in Congress to put a federal ban on Internet gambling. A representative from Utah is introducing a bill into the House while a senator from South Carolina has a similar bill coming up in the Senate. The U.S. online gambling market is continuing to grow but Morgan Stanley recently lowered their forecast for the United States market. Their original forecast had the United States online gambling market bringing in $5 billion by 2017. That number has been lowered to $3.5 billion. Even with the lower estimates, Morgan Stanley is still optimistic on the future of online gambling in the United States. 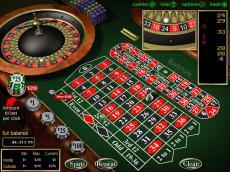 When you play online casino games you oftentimes have the option of playing with a live dealer. It is just like playing in a land-based casino as a live dealer spins the wheel or deals the cards. What games are the best ones to play with live dealers at the online casino? There are currently three states that allow online gambling in the United States and two of them, Nevada and Delaware are now working together. The governors of the two states signed the first-ever gambling agreement between states that will allow people in both states to play online poker against each other. "I consider this a landmark intersection in the road of gaming history," Nevada governor Brian Sandoval said. People in the UK will have another online payment option later this year when Zapp starts its service. The mobile payment service Zapp has already reached agreement with some big banks in the UK that will be backing the service. They are HSBC, First Direct, Santander, Nationwide and Metro Bank.